← Let’s All “Fall” Into Fitness! The Signature Fall Favorite That’s Good For You, Too! ‘Tis the season for pumpkins! Now’s the time when menus everywhere are filled with everything from pumpkin spice lattes to pumpkin ravioli. If you need proof of just how popular pumpkins are, you need only to scroll through the social media feeds filled with photos of happy pumpkin pickers and sippers of pumpkin beer. I’m counting down the days till I enjoy a big slice of pumpkin pie on Thanksgiving, but it turns out there are several good reasons to enjoy pumpkin more than once a year! Post-Workout Power! It’s no secret bananas are a natural source of energy, but it may surprise you to learn just pumpkins pack more of the refueling nutrient potassium. One cup of cooked pumpkin has 564 milligrams of potassium compared to a banana’s 422 milligrams. A little extra potassium helps restore the body’s balance of electrolytes after a heavy workout and keeps muscles firing away. Good for Your Baby Blues…and Browns, Greens and Hazels, too! : One cup of mashed pumpkin contains more than 200 percent of your recommended daily intake of Vitamin A. Also, pumpkin is chock full of carotenoids, a fancy name for the compounds that create its orange color. One of those compounds is beta carotene, which has been linked to eye protection. Keep Your Appetite in Check! 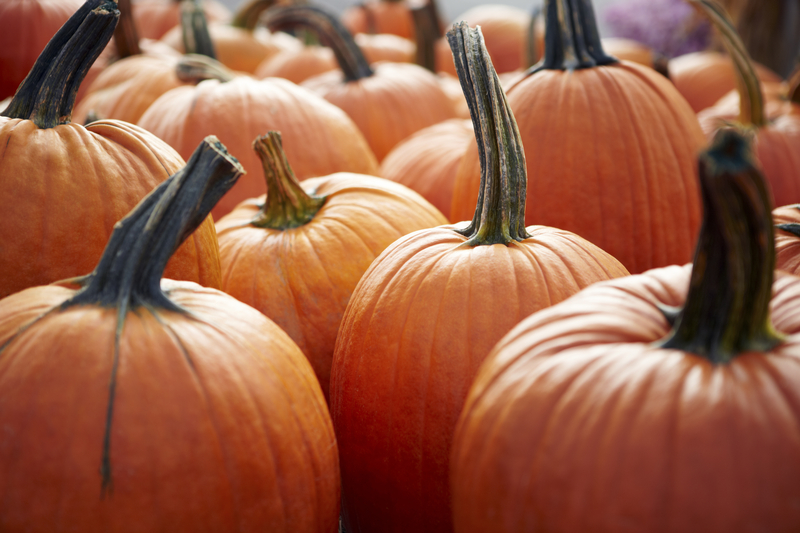 Pumpkin is often forgotten as a great source of fiber. In fact, a one-cup serving packs three grams or protein with only 49 calories. Countless studies show a fiber-rich diet can help you stay full longer so you eat more sensibly throughout the day. Posted on October 2, 2017, in Fitness, Health, Nutrition. Bookmark the permalink. Leave a comment.